Cheap flights from France to Chennai, India on 5* Lufthansa from €344! Cheap flights from Brussels to Mombasa, Kenya from €320! Another great solution based on Lufthansa when departing from French cities this time to Chennai in India. 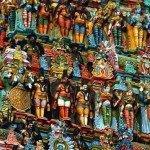 Cheap flights from Paris, Toulouse, Lyon, Bordeaux, Marseille or Strasbourg to Chennai are available from €344 incl. all taxes and checked bag. Flights have one short layover in Frankfurt on your way. Want to book budget deal and fly on board of top ranked airline do not miss this Lufthansa special promo sale. You may find even slightly cheaper flights to Chennai however with two layovers on your way. If interested in this discount deal with Lufthansa you will find the cheapest flights when departing from France to Chennai from 28th of April to 3rd of June or 27th of August to 11th of December 2019 and 1st of January to 31st of March 2020. Min stay 5 days. Max stay 3 months. No free stopover available. Including 23kg bag in hold. Fare class is “K – Discount Economy – 25% to Miles & More loyalty programme“. Swiss / Lufthansa promo sale is running till 24th of April or until sold out..
We recommend you firstly compare the cheapest flights via Google Flights (Guide). The tool gives you almost instant result and you can easily browse throughout all the months. You can then book this deal directly with Lufthansa or your preferred booking agent. If interested in this offer you can refer to our booking samples below. You can book your accommodation in Chennai via Booking.com. Also you can further discount your hotel when using one of following promo codes. Booking sample of Cheap flights from France to Chennai, India on 5* Lufthansa from €344! You would depart from Lyon to Chennai via Frankfurt on 10th of November. Your inbound flight from India back to Europe then on 24th of November 2019.